We serve in two different areas of the city. I mostly work in a community we fondly call the Railway Community. It got its name because it’s literally right by the railway tracks. In the last month one of our Khmer staff and myself have been put in charge of coordinating the railway ministry. Twice a week a team of Khmer and western staff spend the day in the community. God has provided us with a beautiful little room to rent for kids club. We start with outside playtime which includes playing soccer between the railway tracks (game pauses when trains come through), jumping rope, braiding hair, and playing catch. When everyone’s hot and tired we go inside for cold water and to wash hands and feet. 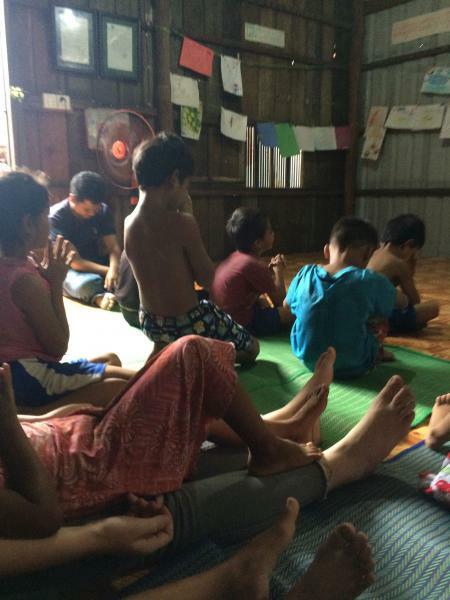 The kids settle down for a time of worship, bible teaching, hygienic teaching, and crafts. They leave with a snack of fresh fruit. In the last few months it has been amazing to watch the kids encounter Jesus’ love and the presence of Holy Spirit during worship times. They tell us about visions they see of Jesus. It’s my constant prayer that they will all encounter Jesus for themselves, so that even when we are not there they will know Jesus is with them. In the afternoons they come back to play. 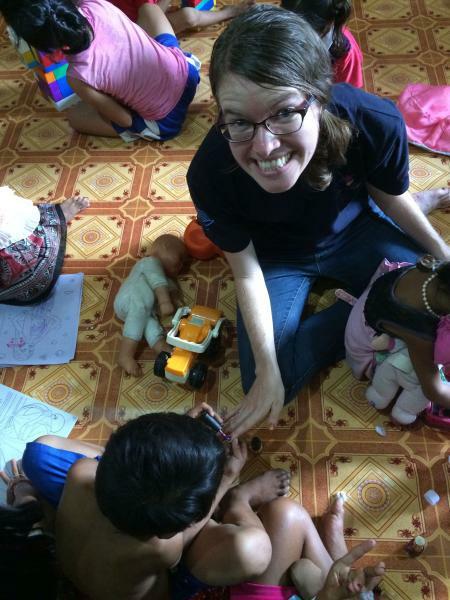 Since most of the kids live in quite extreme poverty, they don’t often get a chance to play with toys. Two afternoons a week we provide toys, books, and puzzles for them, which also provides us an opportunity to connect with the kids on a more individual level. In this community we also have a number of at-risk families we support every month. This includes rent, groceries, medical visits, listening ears and hearts, and countless prayers. The other area we work in is the Riverside. We reach out to the kids and parents who live on the streets. They make money selling various items (such as bracelets and scarves) to the foreigners who visit this main tourist attraction. 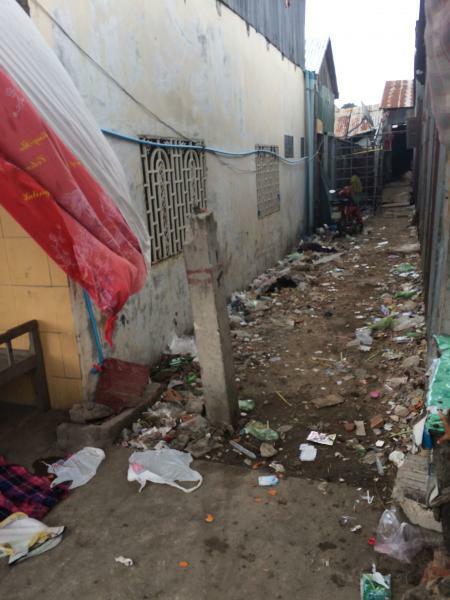 Being out in the streets (aka the red light district) all the time makes them very vulnerable to abuse and trafficking. We are building relationship with these kids and parents, which helps us be aware of risks and needs in their lives. It’s been such a blessing being able to serve with the Iris team here and I’m excited to see what God will do in the next six months.